Pope Francis has named the new prelate of Opus Dei. Last evening, Jan. 23, 2017, Pope Francis named Mgr Fernando Ocáriz Braña prelate of Opus Dei. The Holy Father confirmed the election of the third elective congress of the prelature in the same day. 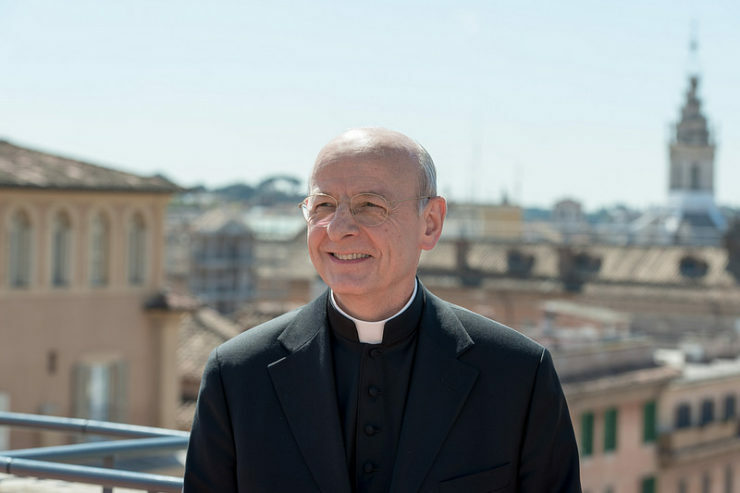 According to a statement released by Opus Dei, with this appointment, Monsignor Fernando Ocáriz, who until now has been Auxiliary Vicar of Opus Dei, becomes the third successor of Saint Josemaria at the head of the prelature. Monsignor Javier Echevarría died this past December 12th. Born in Paris on October 27, 1944, to a Spanish family exiled in France due to the Civil War (1936-1939), Fernando Ocáriz was the youngest of eight children. Ocáriz graduated from the University of Barcelona with a degree in Physical Sciences in 1966. He received a licentiate in Theology from the Pontifical Lateran University in 1969 and a doctorate in Theology from the University of Navarre in 1971, the year he was ordained a priest. In his first years as a priest, he was especially involved in ministry to young people and to university students. The new leader of Opus Dei is a consultor for the Congregation for the Doctrine of the Faith (since 1986), as well as other departments of the Roman Curia: the Congregation for the Clergy (since 2003) and the Pontifical Council for Promoting the New Evangelization (since 2011). He has been a member of the Pontifical Theological Academy since 1989. In the 1980’s, he was among the professors who began the Pontifical University of the Holy Cross (Rome), where he was a tenured professor (now emeritus) in Fundamental Theology. Among his theological publications, his books on Christology are especially noteworthy, like The Mystery of Jesus Christ: a Christology and Soteriology Textbook and Hijos de Dios en Cristo. Introducción a una teología de la participación sobrenatural. His publications have dealt largely with theological and philosophical themes, like Amar con obras: a Dios y a los hombres and Naturaleza, gracia y gloria, with a preface by Cardinal Ratzinger. In 2013, Rafael Serrano’s extensive interview with him was published under the title Sobre Dios, la Iglesia y el mundo. He has also published two philosophical works: El marxismo: teoría y práctica de una revolución and Voltaire: tratado sobre la tolerancia. In addition, he is co-author of several monographs, as well as many theological and philosophical articles. Since 1994 he has been the Vicar General of Opus Dei, and in 2014 he was named Auxiliary Vicar of the Prelature. Over the past 22 years, he has accompanied the previous Prelate, Mons. Javier Echevarría, in his pastoral trips to more than 70 countries. In the 1960’s, as a theology student, he lived in Rome alongside Saint Josemaría, the Founder of Opus Dei. From a young age he has been an avid fan of tennis, which he continues to play.